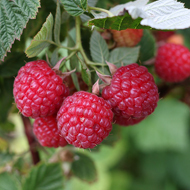 Johnny's Raspberry Planting/Harvesting Program is designed to take the guesswork out of variety selection, allowing you to extend your raspberry harvest to the maximal extent possible. 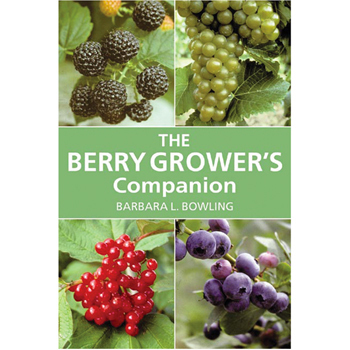 Please note that actual ripening times will vary depending upon your latitude/geolocation, microclimate, cultivation practices, and seasonal variations, among other factors. 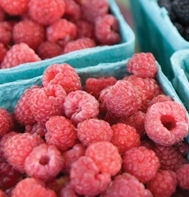 Very early Medium-large Red 4–8 Typically bears most of its fruit in mid June, followed by a smaller fall season harvest. 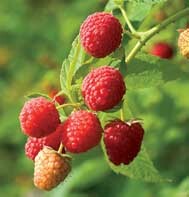 Early midseason Medium Bright red 4–7 Hardy early midseason variety with good aroma and flavor. 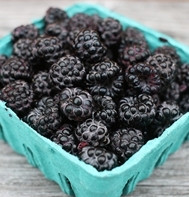 Midseason Large Glossy black 5–8 Fruit ripens uniformly for a concentrated harvest. 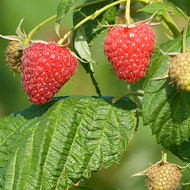 Midseason Medium-large Red 3–8 Consistent yield, few thorns, improved winter hardiness. 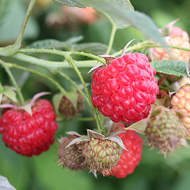 Late Midseason Large Red 4–7 Mid/late summer-bearing variety to help fill the harvest gap in late July to early August between standard early- and late-season varieties. 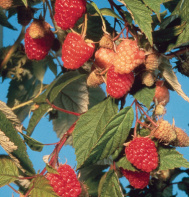 Late summer to early fall-bearing Medium-large Glossy red 3–8 Standard everbearing raspberry, helps fill the gap between summer- and fall-bearing varieties. Mid fall-bearing Medium-large Red 4–7 Full, intense flavor. Matures later than Polana, earlier than Anne. 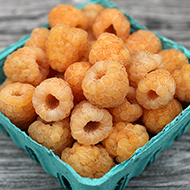 Mid fall-bearing Large Pale yellow 4–7 Known for excellent, very sweet flavor.